As a result of the advances in educational expectations that over the last 20 years, prerequisites for five year old children entering kindergarten has accelerated dramatically. In order to meet these Pre-K requirements, a formal preschool experience has become a virtual necessity for all children. In the 50’s through the mid 60’s formal preschool programs were rare and available on a limited basis. It was estimated that only about 10% of three and four year olds participated in an organized preschool experience. Those that did were from families with financial resources that made it possible to pay the preschool tuition. As those children began entering Kindergarten, a marked discrepancy in adjustment and performance was observed between children who had preschool experience and those who did not. This ability gap between children with a formal preschool experience and those without correlated highly with socio-economic factors. Children from families with financial resources tended to have access to a preschool experience, and children from lower income families did not. The value of a preschool experience for all children became increasingly evident. A major milestone in recognition of this need and taking corrective action occurred in 1965 when President Lynden Johnson signed legislation funding the first Head Start program. This quality preschool program provided an opportunity for lower income families to access preschool for their children with the goal of providing equal educational opportunities for all children. Funded to this day by the federal government, low income families now have equal access to a quality preschool experience. 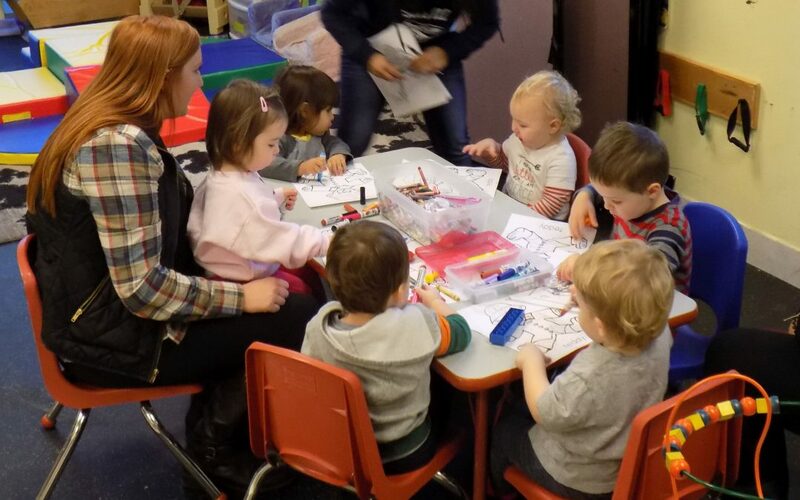 In addition to academic expectations, children entering kindergarten in the Bellingham School District are expected to be able to display skills in social, emotional and behavioral domains, skills that are best developed within a regular, structured group experience such as preschool. Children without a formal preschool experience are limited in opportunities to learn such skills as taking turns, sharing toys, following directions, behavioral self control and using language for interpersonal problem solving with peers and adults. Exposure to and mastery of these more subtle indicators of kindergarten readiness are expertly woven throughout the culture of a quality preschool. Familiarity and comfort with these structural expectations in kindergarten and beyond increase the likelihood of a child feeling successful and confident in the formal school setting. A quality preschool program sends children into the world competent, confident and ready to succeed. If you wish to get more specific information on The Bellingham School District standards for kindergarten readiness there is a form on their website that can be downloaded.